Manage Your Business Via a Smartphone with B4T Mobile! 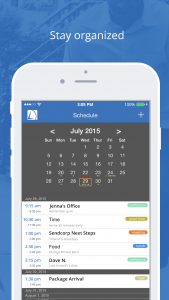 Bill4Time makes managing a business through a mobile device hassle-free. Time & Expe nses. Users can review entered time and expenses for a client or specific project with a quick touch and a swipe from any iPhone or Android device. With the new search bar at the top of the Bill4Time app, users can quickly filter by client or project, and retrieve time and expenses while on the go. Time tracking has never been easier. Matters/Projects. 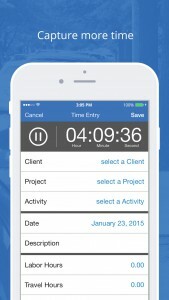 Mobile users can click on the new Matters/Projects tab and enter the project description as an entry field. Businesses can stay abreast of client activity on-demand and respond to client inquiries quickly. Client Management. Businesses expect to use technology anywhere, anytime to interact with clients. This release provides first glance access to client telephone and email information. Through the Client tab, users can quickly search for a client and place a call directly from their smartphone screen by simply clicking the telephone number. Users can also create and send an email by simply clicking the client’s email address. Staying connected with clients has never been so easy. Balance. Bill4Time legal and business users can better manage business while on the go. Easily search and review account history, outstanding balances and more. Click to view invoices and quickly email invoices directly from your smartphone. When a client pays the invoice through the Bill4Time client portal, users can view the update to the account on their mobile dev ice. With the new Balance tab feature, insight to a business’ financial health is available 24/7. Scheduling. Stay organized. The Bill4Time Scheduler has been redesigned to provide “At-a-Glance” viewing. The monthly scheduler or weekly tasks display is even larger and easier to read, allowing users to immediately view time commitments and never be late for an important meeting. Bill4Time offers users easily customizable event types. The enhanced the schedule display shows color coded markers that indicate events types. 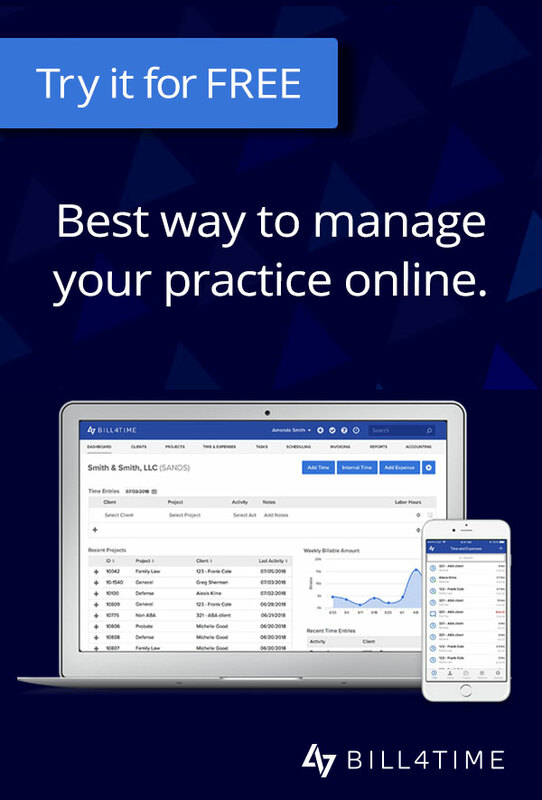 Bill4Time is a fast, secure, cloud-based business management software that helps lawyers, accountants and other service providers better manage their business while staying connected to clients. The new Bill4Time mobile “At-a-Glance” features offer on-demand search and review functions, providing the information business owners need, when they need it to efficiently run their business from anywhere, anytime. Try Bill4Time mobile and see how you can increase productivity while cutting the tether to the office. Download the app from your App Store today! 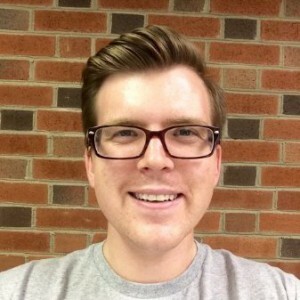 Patrick is a Software Quality Assurance Analyst at Bill4Time. He collaborates with a team of developers and other colleagues to help Bill4Time users achieve success through streamlined processes for time tracking, invoicing, and payments.